The firearms shown and discussed on this page are on display as part of the permanent David Marshall Williams exhibit at the North Carolina Museum of History in Raleigh, NC. Museum management and personnel were kind enough to allow me access to two of these rifles with their assistance and while under their supervision. The reason for the examination of these two rifles in particular was to observe and document any design or parts related to the history of the U.S. Carbines due to claims that had been published. The time it took to carefully examine these two rifles without disturbing their historical value left little time for anything else. The author wishes to acknowledge and thank museum Director Ken Howard for allowing access to the items, Registrar Katherine Beery for her guidance, cooperation and patience, and particularly the Curator and Exhibit Designer of the Carbine Williams Collection, John Cope, who served as technical advisor, overseer and continues to be of assistance. While serving his prison sentence Williams was at some point placed in a labor camp at Topton in the Blue Ridge Mountains of North Carolina, supervised by Captain Harry Thomas Peoples. The camp was eventually closed with Williams and Capt. Peoples being transferred to Caledonia State Prison where Williams was eventually put to work in the prison's blacksmith shop repairing prison equipment. Interaction between Williams and Captain Peoples that led to Williams being allowed to work on his ideas related to firearms were beyond the scope of the work of this author. Though having had only limited experience while building simple home made firearms, and lacking the education and skills most firearms inventors had, when his current circumstances provided an opportunity he became interested. Interestingly, the tools and materials used to construct the rifles were limited to whatever was available within the prison. What he lacked in the way of machinery and skills was offset by the amount of time he had available within a contained and structured environment that was absent activities most people would enjoy. The key concept Williams came up with while in prison was use of the high pressure gas exerted near the front of the cartridge casing to coupled with a short stroke piston to operate the action of a semi-automatic firearm. Although Williams probably wasn't aware of it given his life experience up this point, and the lack of a firearm designed from the earier patent, Williams wasn't the first to come up with the concept (refer U.S. Patent 1,343,444 dated 15 Jun 1920, application submitted 23 Mar 1917 and renewed 01 Nov 1919). While in prison Williams designed and constructed four semi-automatic rifles that operated using this concept. The first was a .22 rimfire semi-automatic rifle that utilized what has come to be known as a floating chamber. 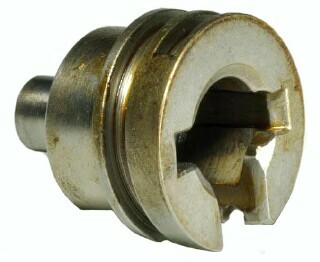 By design, this chamber also served as a short stroke gas piston that impacted the face of the bolt to operate the action. The second rifle Williams built while in prison was based on, and used a number of parts from, the Remington Model 8 semi-automatic rifle. This was his first use of his floating chamber short stroke gas piston in a semi-automatic rifle chambered for a powerful centerfire cartridge. The Remington Model 8 chambered in .35 Remington was one of the firearms used by the guards where Williams was incarcerated. First developed by John Browning in 1906, this was Remington's first full production semi-auto rifle. There's a good likelihood the way it operated was responsible for inspiring Williams (at least in part) to come up with the concept of using the high pressure gas at the front of a cartridge casing to operate a shortstroke piston and the firearm's semi-automatic action. Understanding the Remington Model 8 provides valuable insight into the development of the gas systems of the firearms designed by Williams, particularly this second rifle. Therefore the basics of the Remington Model 8 will be covered before continuing with the second rifle. The semi-automatic action of the Remington Model 8 is operated by the gas moving the entire barrel to the rear as a "long recoil" system. 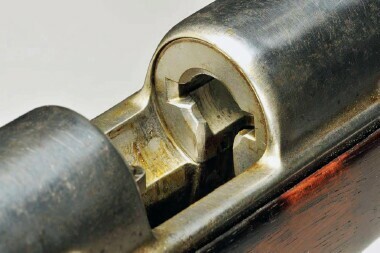 With the barrel in the forward position the rifle's bolt and bolt carrier are locked to the breach end of the barrel by means of what Remington called a "Rotating Breech Bolt". When a cartridge is fired the barrel, bolt and bolt carrier move rearward together. 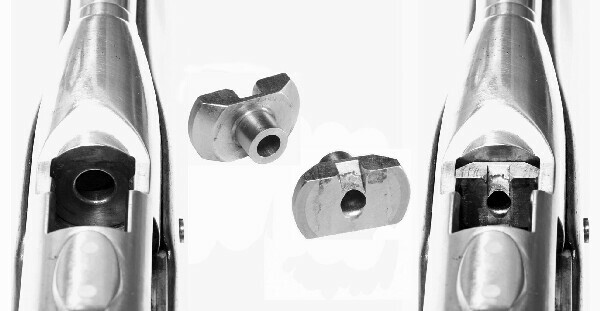 The rearward movement causes the bolt lugs to rotate and unlock from the breach. The barrel is slowed and stopped by a buffer spring wrapped around the barrel. The bolt and bolt carrier continue rearward as the barrel is returned to the forward position by a recoil spring. The bolt and bolt carrier then move forward engaging and chambering the next cartridge. A slow motion video of the action of the Remington Model 8 produced by ForgottenWeapons.com helps illustrate the action. The recoil this system generates with the .35 Remington cartridge is something to behold but not necessarily enjoyable to experience. Videos showing the recoil and action of the Remington Model 8 and it's successor, the Remington Model 81 Woodmaster, can be viewed on the YouTube page of the collectors and researchers of The Great Model 8 Remington. Those having an interest in all of the modifications by Williams to his Remington Model 8 may find the website of TheGreatModel8.Remington.com of value. What follows here is related to his continued development of the short stroke gas piston that was eventually altered for use with the U.S. Carbines. The barrel and gas system of this rifle is a variation of the floating chamber gas piston used for his first rifle. Remington Model 8 parts used for this barrel included a Model 8's barrel breach, the bolt and lever used to attach the barrel to the receiver, and probably a shortened section of a Remington Model 8 barrel with it's bore of 7 lands and grooves. The rear sight is that of a U.S. Krag rifle, the front sight is hand made. 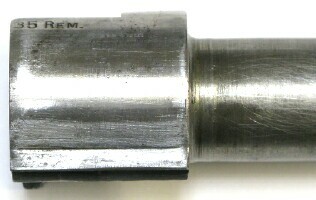 Williams indicated in the video footage used for "In the Sights of a Weapons Genius: Carbine Williams" by MVI Productions that the thick metal at the rear of the barrel assembly was made from a Ford crankshaft, with the front end of the piece (abutting the back of the rear sight) being the crankshaft's main bearing. 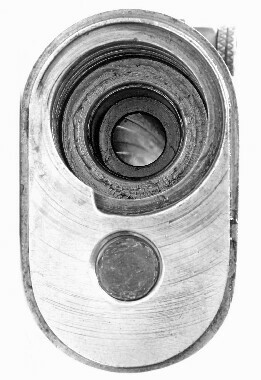 Williams indicated the barrel (with front and rear sights) screwed into this crankshaft main bearing. 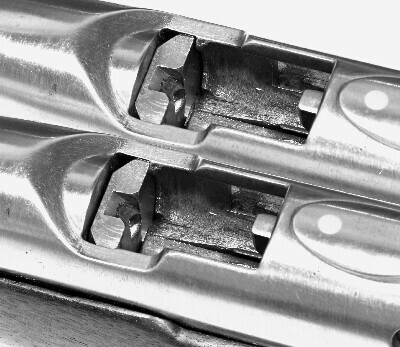 Upon close examination of the outer barrel it appears the section of Remington 8 barrel containing the lands and grooves is permanently encased inside a separate piece of metal into which the rear sight is inset. This barrel was then screwed into the piece made from the Ford crankshaft and main bearing and secured in place. 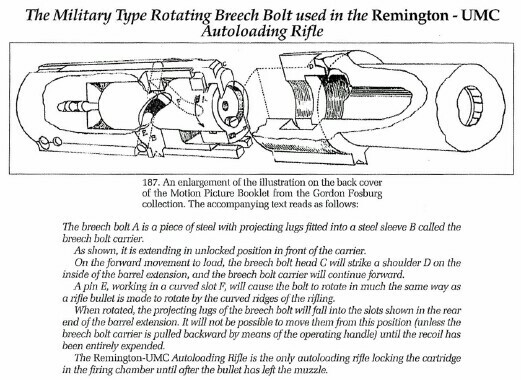 the Remington Model 8 breach and pinned in place. 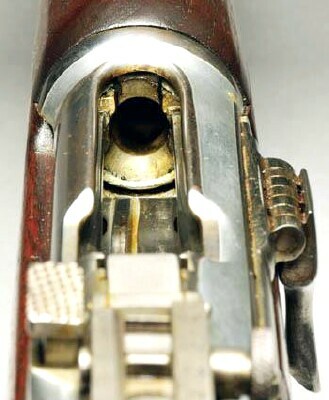 The threads at the front of this piece engaged the inside of the barrel. 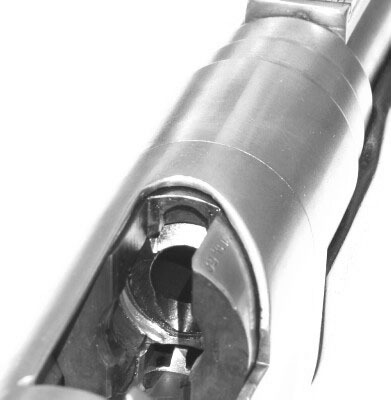 The width of the grooves inside the barrel are greater than the width of the threads on the outside of the chamber. The difference in widths equalled the distance the floating chamber short stroke gas piston moved. just enough to sufficiently impact the bolt face and operate the action. 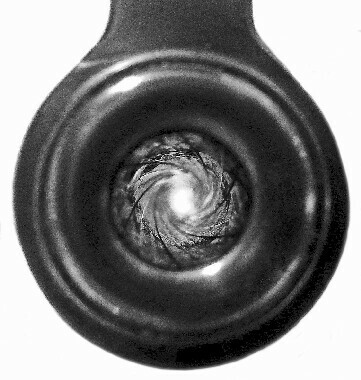 View of the floating chamber gas piston mounted inside the barrel breach. The front of the piston is inside the breach. "Carbine: The Story of David Marshall Williams" as being approximately 1/15 of an inch. The evolution of the short stroke piston leading up to that of the U.S. Carbines will continue after Williams is released from prison. The third rifle Williams made while imprisoned was a variation of his first rifle in .22 rimfire. The fourth rifle was chambered for the 30-06 cartridge. 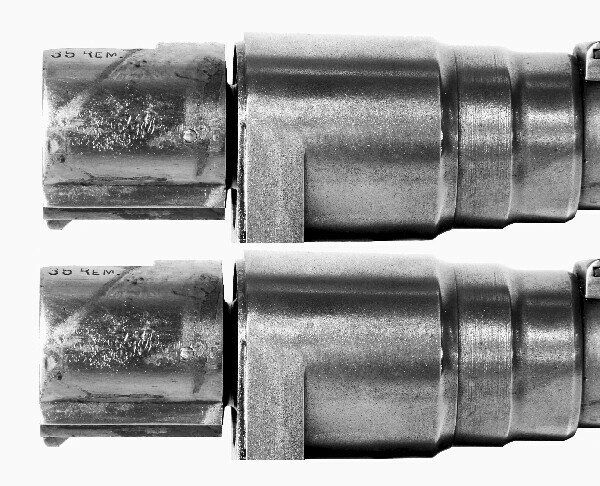 Williams used a floating chamber short stroke piston design that directed the high pressure gas forward to propel the barrel forward while at the same time pushing the bolt to the rear. This rifle was designed in response to a prison guard's statement to Williams that such a design would never work. Williams proved the guard wrong, but in later years would not allow the rifle to be fired. Those interested in learning more about how this rifle operated may wish to review the first patent by Williams, covered at the beginning of the next page. A "Commutation" is the lessening of a penalty without forgiveness for the crime; the beneficiary is still considered guilty of the offense. Whereas a "Pardon" is the forgiveness of a crime and the cancellation of the relevant penalty. While most citizens may not know the difference, the majority of inmates do. Records of the North Carolina Prison Department, Pardons and Commutations by Governor McClean 1925-1928, held in the North Carolina Archives indicate Williams applied for a commutation on November 27, 1927 and on December 16, 1927 was granted a reduction in sentence to 20 years by Governor McLean. The reason for the commutation reads, in total: "In view of the request of the prosecuting Solicitor, and a large number of citizens and in view of the youth of the prisoner at the time of his conviction and his seven years record as a good prisoner." The actual Commutation with the governors signature is a one page document dated December 16, 1927 and was located in the North Carolina Archives in the documents of the Advisory Board of Paroles, Book of Commutations July 14, 1923 - August 25, 1932 on page 111. Apparently any documents supporting this decision, if there were any, were not retained. Records of the Office of Superintendent, NC State Prisons, indicate Williams was "regularly discharged from the The State's Prison by Expiration of Sentence" on September 29, 1929 (The History Channel, Timeout, History of the M1 Carbine). A personal letter from Laura Williams (mother of Marshall) to Robert Wesley Williams (brother of Marshall, commonly referred to as Shell) dated October 1, 1929 indicates Marshall's father and Marshall's brother Gordon left to pick up Marshall that morning after having received a telegram of his release the day prior (North Carolina Archives, Carbine Williams Letters, 1927-1934, PC 1753). Published and taped interviews with Williams, in addition to the movie Carbine Williams, have indicated Williams was pardoned by North Carolina Governor Angus McLean. Governor McLean served as North Carolina's governor from January 14, 1925 to January 11, 1929. Had Williams been pardoned by Governor McLean he would not have remained in custody until September 1929. On June 6, 1935 a Cumberland County Superior Court restored the citizenship of Williams. During the time period during and after Williams was incarcerated convicts were required to apply for the restoration of his/her citizenship with evidence of good conduct, followed by posting a notice of the request in the courthouse for 90 days prior to the hearing. Interestingly, the court order restoring his citizenship indicates Williams was pardoned by Governor Angus McLean on September, 19, 1929. Records access in 1929 was not as it is today, but locating these records for inclusion here was no easy task due to the locations and manner in which the records were originally recorded.